I believed it, too. I told that story, too. Later, I found out I’d been lying. Or, if you want a softer, gentler conclusion, I can put it this way: I had unknowingly participated in hijacking the truth. But the truth, as they say, can set you free. Ask folks about the orange, though, and that’s what they will tell you. Just a few years back, I heard a group of about seventy very well-educated Jewish women make that claim. Once upon a time, I would have smiled and agreed. It’s nice to acknowledge how far women have come, how much we have achieved. It’s a good moment when we have reason to congratulate ourselves. When I found out how wrong I was, I was appalled. According to Susannah Heschel herself, the story begins back in the 1980’s, when she read a feminist Haggadah that suggested adding a crust of bread to the seder plate as a way to demonstrate understanding for the status of lesbians in the Jewish world. The idea was obvious enough: There would be just as much room for chametz on the seder plate as there was for lesbians and gays in Jewish life and community. Heschel wasn’t convinced that this was the best way to demonstrate solidarity. Associating Jewish lesbians and gays with chametz defined the former as forbidden. After all, before Passover we do everything we can to ferret out and dispose of the chametz in our midst. We burn the last crumbs before the holiday begins. We declare ourselves free of chametz, and then, during the next eight days, we eschew all contact with leavened bread. 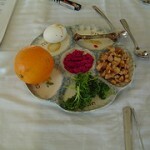 Heschel decided to place an orange on the seder plate to symbolize the inclusion of gays and lesbians. The orange symbolized the life-giving, fruitful energy they could bring as involved participants in Jewish communities. The seeds of the orange could be spat out to repudiate the homophobia that had long plagued Jewish life. Why couldn’t we transmit the actual history of the orange on the seder plate? Why transmute and transform Heschel’s experience into a story of women’s victory over patriarchy? As Heschel herself has written, her words were put into the mouth of a man. We ended up with a self-congratulatory cliché. These days, Jewish women are busy owning that bimah. I know that there are still plenty of concerns about the status of Jewish women in our communities and institutions. But it might be time for us not just to retell the story, and to do so accurately, but to look closely at the kind of comfort we gave ourselves when we altered it. The heterosexual gloss we gave to a story about homosexual pain is worth examining. The stories we believe and the stories we tell will reveal a story about who we are. Next year, at Passover, put an orange on the seder plate. Spit out the seeds of homophobia. These must become bitter relics of the past, of a time heterosexuals should atone for. Let the truth set us free. He’s one of our’n. And while he lived in North Carolina, he was one of the most prolific producers of racial hatred and antisemitism in the U.S. of A.
Frazier Glenn Cross (known mostly as F. Glenn Miller Jr.) has a point scale for murder. One point for killing an African American. Twenty for a Jew. 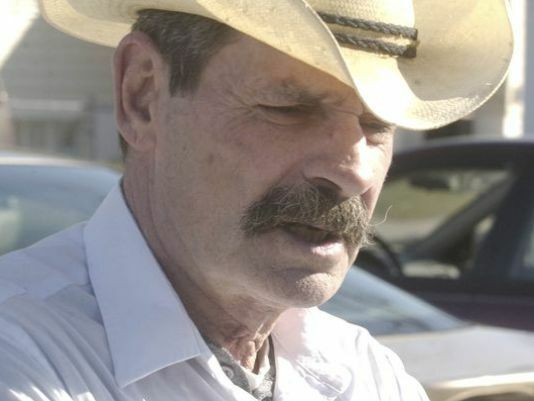 I don’t think he had planned on awarding points for random Christians, though he is suspected of having killed three last Sunday. It’s better than likely that he was after Jews. For one thing, he advocated killing them. 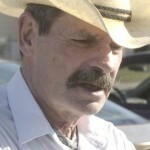 For another, he is reported to have shown up at two Jewish institutions outside of Kansas City for a hunting trip. Jews have been targeted so often and for so long that the hunt itself has become a national pastime (and not just in Germany under Adolf Hitler, either). When I teach courses on the history of European anti-Semitism, my students usually have some idea about the big-name persecutions (the Crusades, the Inquisition, the Holocaust). During the semester they become witnesses to the forgettable smaller stuff – expulsions from this or that European town, a local slaughter of all the Jews. They look through timelines listing the incidents of forced conversions or pogroms, about laws sanctioning the enslavement of a local Jewish population or their enslavement, about their ghettoization. It’s pretty regular stuff. Every few years, somewhere in Europe, some Jews are being hunted. So it is probably no wonder that I mentioned the KC killings at my first night seder. But maybe it was a wonder: After all, six of the ten people at our seder were devout Christians (one an ordained Protestant minister). I also invited two agnostics to the meal. But Jews and non-believers were outnumbered that night, and for a reason. I wanted to prove to myself (and to the others at my table) that there are universal messages in the Passover seder — messages about human cruelty and oppression, about the evils that emerge when we control and abuse others. I wanted us to sit around my round table without leaders or followers. I wanted everyone to see the face of every other. I wanted to remind myself that there is reason to believe in humanity. I wanted to ask: Who is humanity, exactly? In The Train of Life, a film about a small shtetl in France that attempts to deport itself in order to escape the Nazi wholesale destruction of European Jews, the town fool, Shlomo, offers wisdom a rabbi must pay heed to. Shlomo: God created men in his image. Sounds nice. Shlomo is the image of God. But who wrote that sentence in the Torah? Man, not God. Man. With no modesty whatsoever he compared himself to God. God may have created man but man, son of God, created God in order to invent himself. Rabbi’s wife: Can you repeat that? Shlomo: Man wrote the Bible so he wouldn’t be forgotten. He didn’t care about God. Rabbi: We have enough problems. Shlomo: Rabbi, we neither love God nor pray to him. We beg him to help us get by down here. But we don’t care about him. We care only about ourselves. The real question is not whether God exists but whether we do. To exist, what must we humanity become? Are we, on some level, yet to exist at all? To control, to abuse – to murder and destroy – if we class these things as inhuman, then Shlomo is correct: The question is whether we exist, not whether God does. I gathered eight loving people around my seder table. To prove that we do.